It needs more time for safety works. 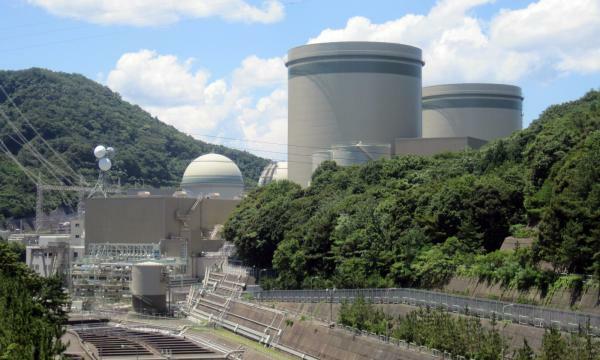 Japanese power utility Kansai Electric has informed the Fukui Prefecture (Japan) that the restart of the Takahama-1, Takahama-2 and Mihama-3 nuclear reactors (all rated 780 MW) must be delayed by around 9 months, as safety works will require more time than anticipated. Works in Mihama-3 involve mostly on the improvement of the unit's seismic resistance and the installation of fire-resistance cabling, while works on Takahama-1 and 2 involve reinforcing containment buildings, replacing fire-resistant cabling and installing fire protection sheeting, among other things. Takahama-1 will then restart in May 2020 (instead of August 2019), Takahama-2 in January 2021 (instead of March 2020) and Mihama-3 in July 2020 (instead of January 2020). In 2016, the Nuclear Regulation Authority (NRA) granted Kansai Electric licence extensions for the three units, enabling operations beyond 40 years. Takahama-1 and 2 were commissioned in 1974 and 1975, respectively, while Mihama-3 was commissioned in 1976; the latter will be allowed to operate until 2036. The safety works are a preparation for the extended operation. So far 39 of Japan's nuclear reactors have been put in compliance with NRA's nuclear safety rules that took effect in 2013 and are currently in operation; The operating reactors are: Sendai-1 and 2 (876 MW each), Genkai-3 and 4 (1,127 MW each) by Kyushu Electric; Ikata-3 (846 MW) by Shikoku Electric; Takahama-3 and 4 (830 MW each) and Ohi-3 and 4 (1,127 MW) by Kansai Electric. Another 16 reactors have applied to restart. Several power utilities have decided to decommission their nuclear reactors, due to high investments required to upgrade them to the new safety standards: Kansai Electric (Ohi-1 and 2, 1,120 MW each), Japan Atomic Power (Tsuruga-1, 340 MW), Kyushu Electric (Genkai-1, 529 MW), Chugoku Electric (Shimane-1, 439 MW), Kansai Electric (Mihama-1, 320 MW and Mihama-2, 470 MW), Shikoku Electric (Ikata-1 and 2, 538 MW each).